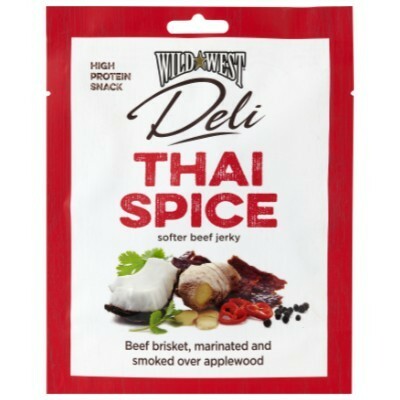 Wild West Deli beef jerky is both soft and tasty, using only the highest quality beef brisket which is then carefully marinated and slowly smoked over applewood chips. The great taste comes from the marinade, which only includes the sort of ingredients you'd have in your kitchen store cupboard. The delicious peices of lean beef brisket are not only perfect as a snack, but also to serve with pre-dinner drinks.